Okay, we know that the IAB has no love for Adblock Plus, but come on, does it expect to find empathy as it continues to represent and enable malware infested, anti-privacy and UX killing bloat? The industry the IAB represents, extorts its own visitors by providing content while parasitically selling off access to our data to third parties in the support of adtech gone amuck. Publishers now believe that they can use pop-ups to encourage visitors to disable their web surfing protection in the name of “poor me, you're hurting our bottom line” snake oil without addressing the reasons we use ad blockers in the first place. This is another wake up call for publishers and adtech minions. Hats off to Reddit for protecting its visitors. Also, because this represents a technology community with high visibility, we might start seeing other websites taking a similar stand. Publishers rely on such communities to help spread their content. This is definitely a good UX development because it might take some visible public shaming to reign in adtech’ sticky fingers. The IAB points to small efforts such as its lean principles initiative to reign in some of the ad crud. “We are doing everything we can to work with our publishers and ad tech suppliers,” he said, noting that the main problem here is that the IAB can’t exactly set standards and that the Internet’s open architecture does allow for anybody to get into the ad business. 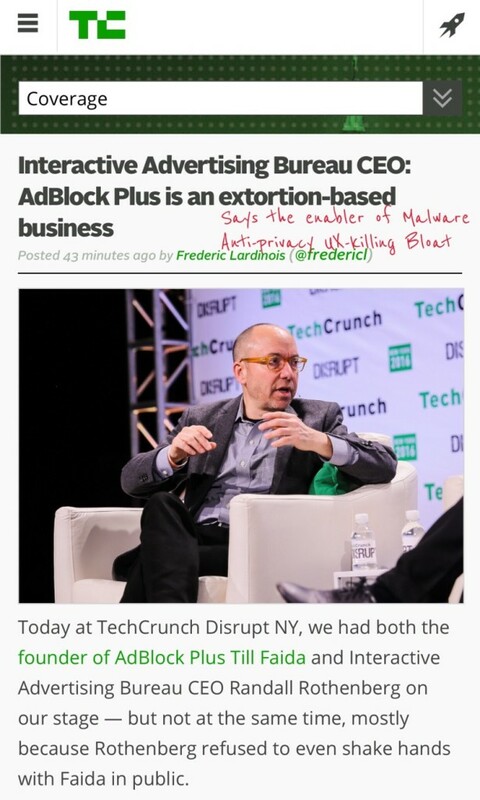 So, the IAB calling Adblock Plus an extortion business is a lot like calling a fireman a vandal for breaking the window of a burning house to rescue it's occupant. The IAB is representing an industry that does not seem willing to walk the UX talk. Only when that industry can address its fundamental UX flaws, will we be willing to care about its bottom line. 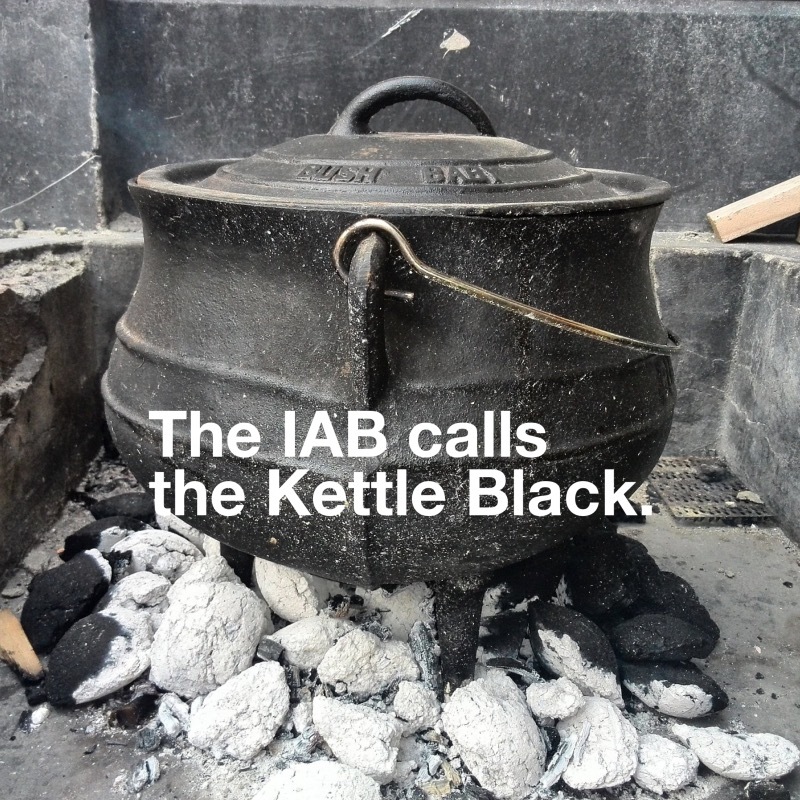 Dear Interactive Advertising Bureau (IAB), stop calling the kettle black and clean up your own house first.